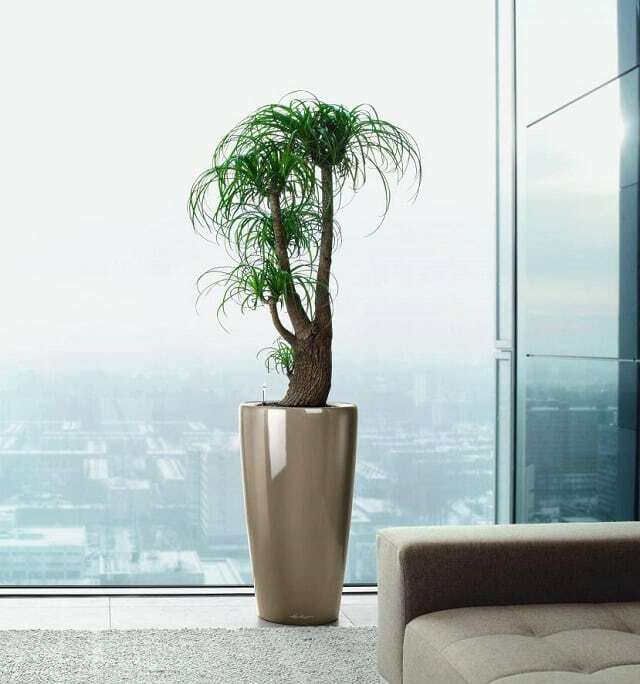 Take a look at these 19 Best low maintenance houseplants, if you’re new to growing plants indoors or find yourself lazy. There are plenty of good things about having plants in the house. For starters, they clean up the air and smell wonderful. Secondly, they add a much-needed dash of color and accentuate the appeal of your interior. The snake plant is a low-maintenance succulent plant that thrives on neglect pretty well. If you have had little success with indoor gardening , do give the snake plant a try. All types of snake plant tolerate low light and prefer being potbound. The fact that it has thick and waxy leaves means it can withstand scarcity of water for prolonged periods of time. To put it simply, the snake plant is apt for lazy gardeners and two-week vacationers. Tillandsia is a genus of air plants native to the deserts, forests and mountains of central and South America. 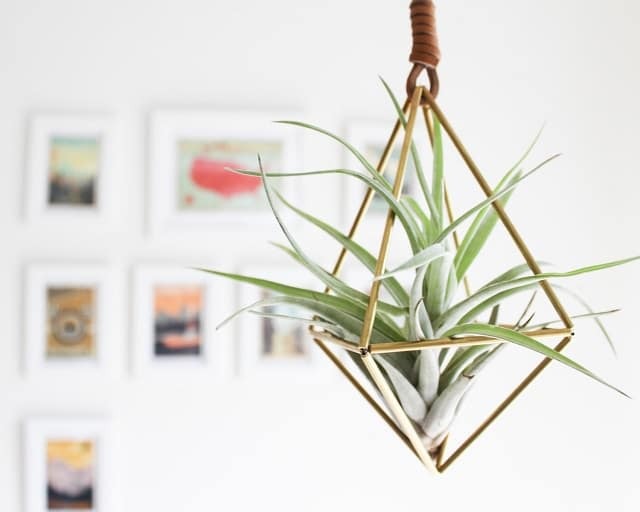 Air plants are epiphyte, meaning they don’t need soil to grow. All you need is to mist or water them up once in a week. Some of the air plants also absorb dust– All this makes them interesting and low-maintenance houseplants. The air plants are a perfect choice for people who wish to add a touch of green to their home without much work. The cast-iron plant is true to its name- it’s literally indestructible. It can withstand extremes of conditions, including low light, low humidity, as well as a wide spectrum of temperatures. And it grows slowly, which means you don’t need to repot it often. Kalanchoe is a genus of tropical succulent flowering plants, from the wide-leafed and bright ‘Flapjack’ to the compact Kalanchoe manginii or Kalanchoe blossfeldiana. 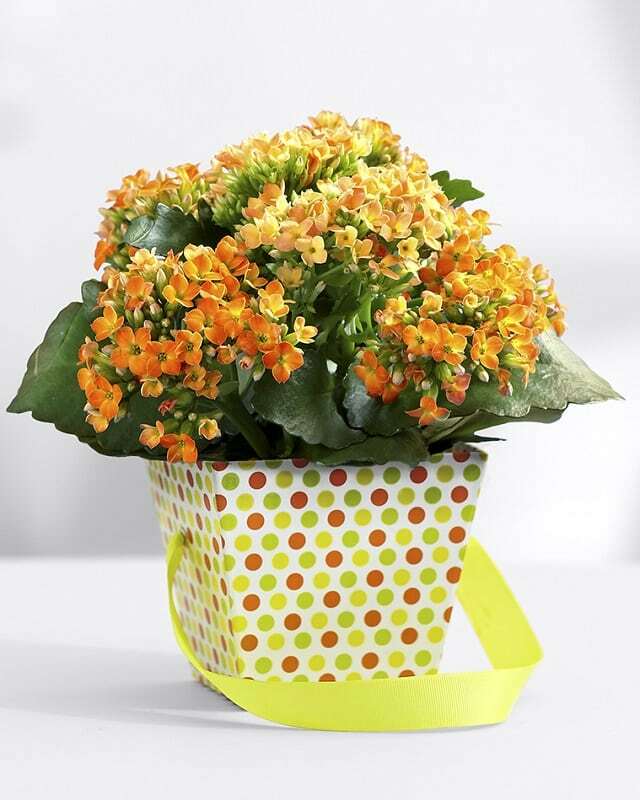 Kalanchoes are easy to grow, all they ask for is a sunny spot and an occasional spritz of water. Both these varieties are architecturally interesting and last for so long with little attention from your end. 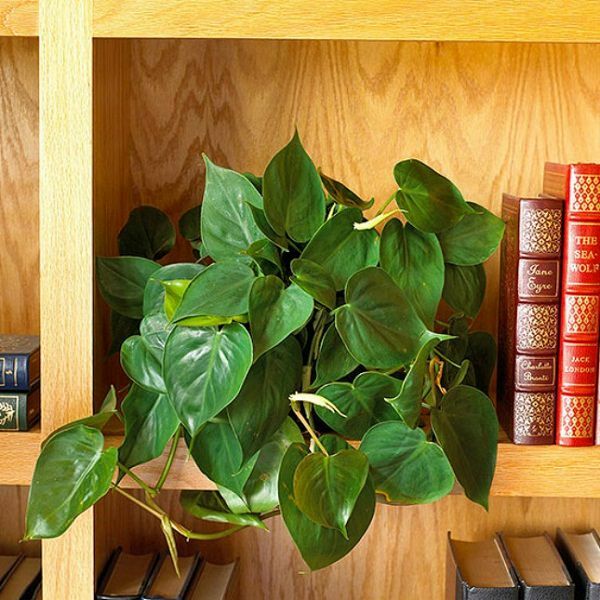 Philodendron is a fast-growing foliage houseplant with bottle-green heart-shaped leaves, similar to pothos. 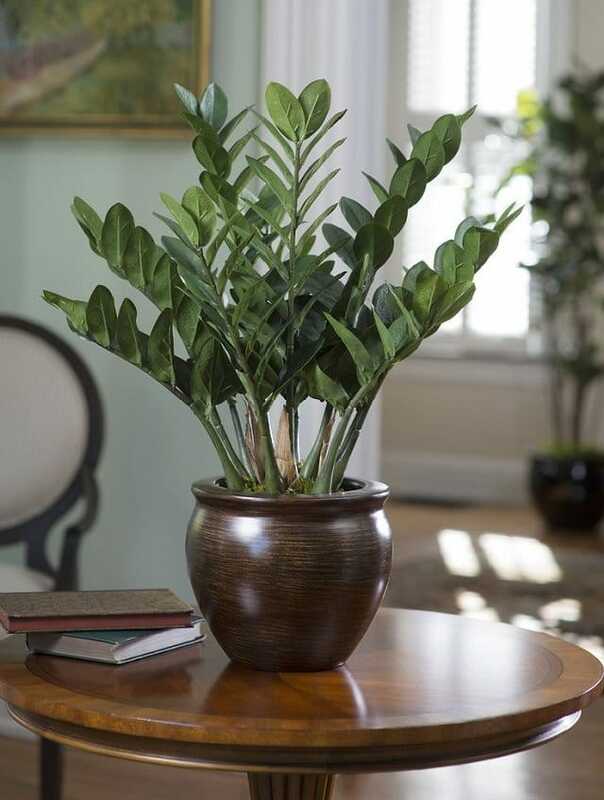 This plant is extremely durable and adapts well to low-light areas. Philodendron looks great in hanging baskets or when branches trailing down from above. The ZZ plant is also known as the eternity plant as it lasts so long that it’s practically a challenge to kill it! Its fat succulent leaves are thick, fleshy leafstalks are so durable that they can be easily mistaken for plastic. Since the plant is a slow grower, you may want to purchase a large plant if in case you need a big specimen for your house. 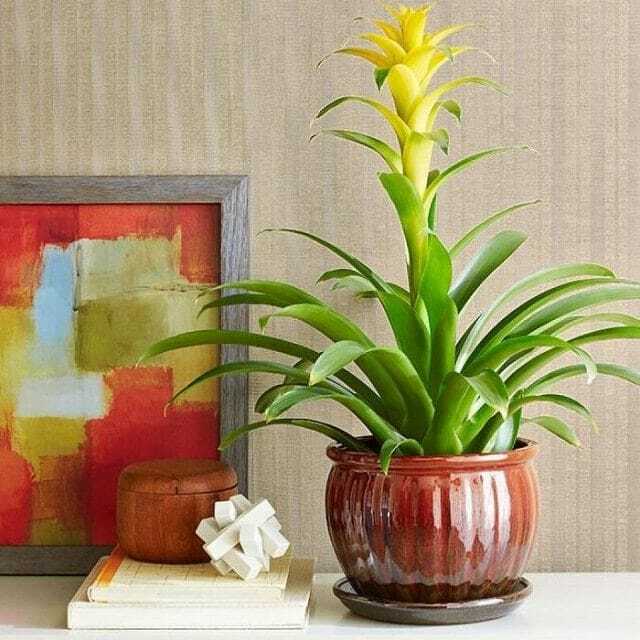 Bromeliad, like pineapple, belongs to the bromeliacea family. This plant produces a delicate pink inflorescence that is beautiful to look at. It lasts long too, and occasionally produces new side shoots that replace the original ones. Native to South America, Jade is a low maintenance indoor plant. A succulent that retains water in its round, fleshy leaves. They thrive on neglect, so all you need to do is place them in a bright and airy spot and you’re done. 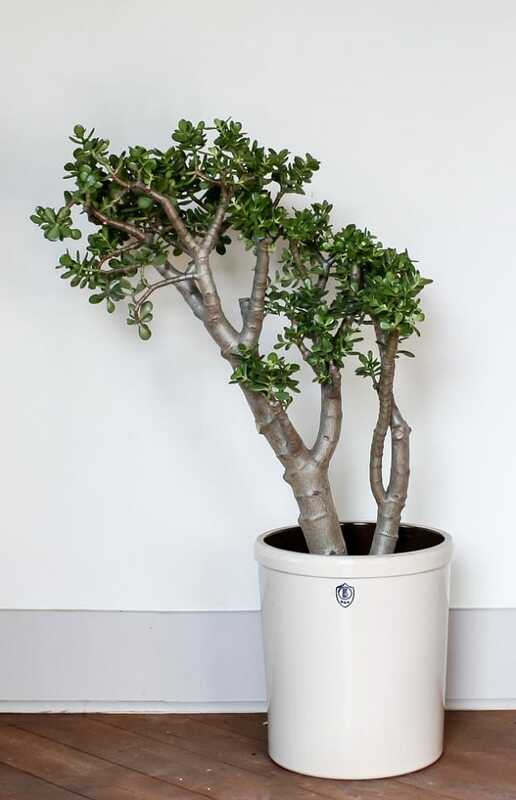 As the thick trunk of jade plant easily gives it a mature look, it is also good for bonsai making. Whether its Crown of thorns or any other succulent most of them are the plants that are easy to grow indoors. Especially for those who forget to water the plants for days. If you’re interested in knowing more about the succulents that are easy to grow click here! 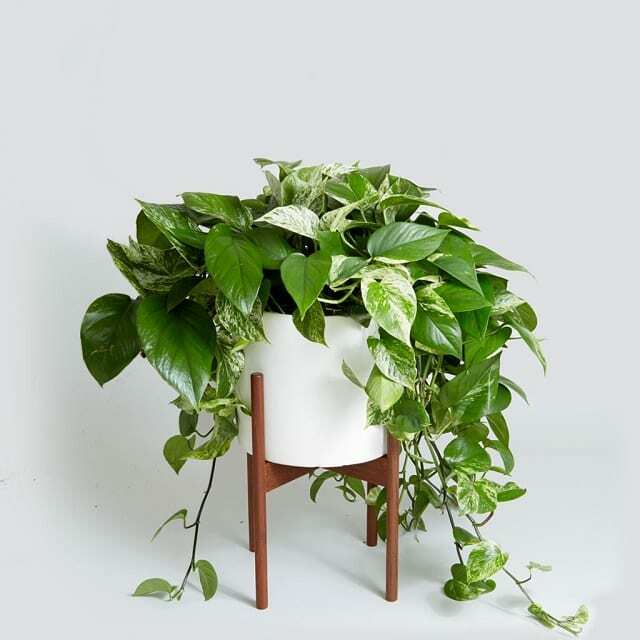 Pothos is a fast-growing, leafy vine with striking variegated leaves that are tolerant to both irregular watering and low light conditions. 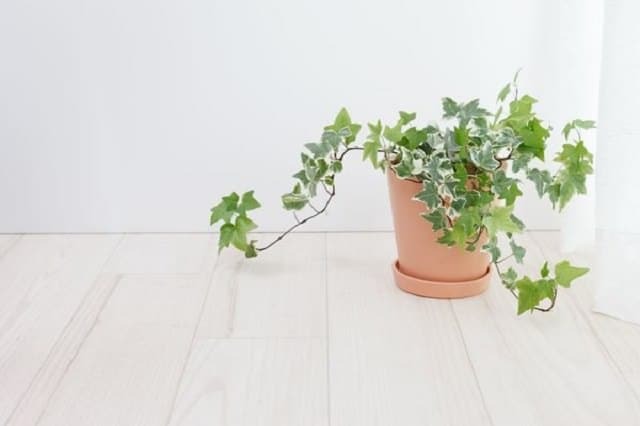 The vine extends quickly, often leaving a 10-feet long, green trail over shelves or furniture. 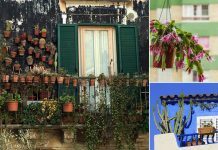 Though it’s not as drought-tolerant as many other plants in this list and demands some attention from you when it comes to watering. 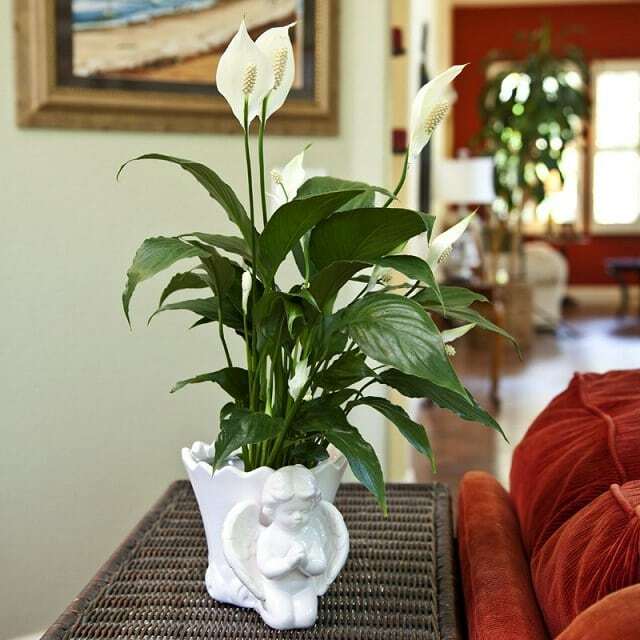 The peace lily is an easy-to-care houseplant that tolerates low light and low humidity really well and it seems like it is made for indoor conditions. Glossy, lance-shaped foliage with arched stems that surround the central flower spikes. It produces spoon-shaped blooms in summer usually but some varieties do blossom intermittently throughout the year. As an added bonus, it purifies noxious substances like formaldehyde and carbon monoxide from the air. If growing in a large pot peace lily can even go without water for a month. These plants thrive better on under-watering conditions. 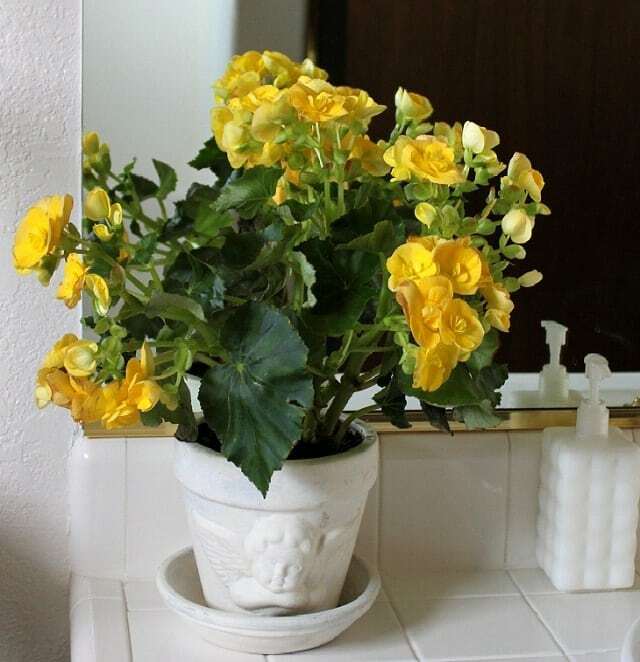 Begonias, with lush, green leaves and satiny flowers paint a pretty picture. Though they are more often thought of as outdoor plants, the fibrous and rhizomatous variants perform well indoors. They prefer humid environments, so you may want to water them 2-3 times a week in summer to make sure they stay healthy and green. They are not that fussy about light/temperature conditions. Bright, indirect sunlight works fine for them. 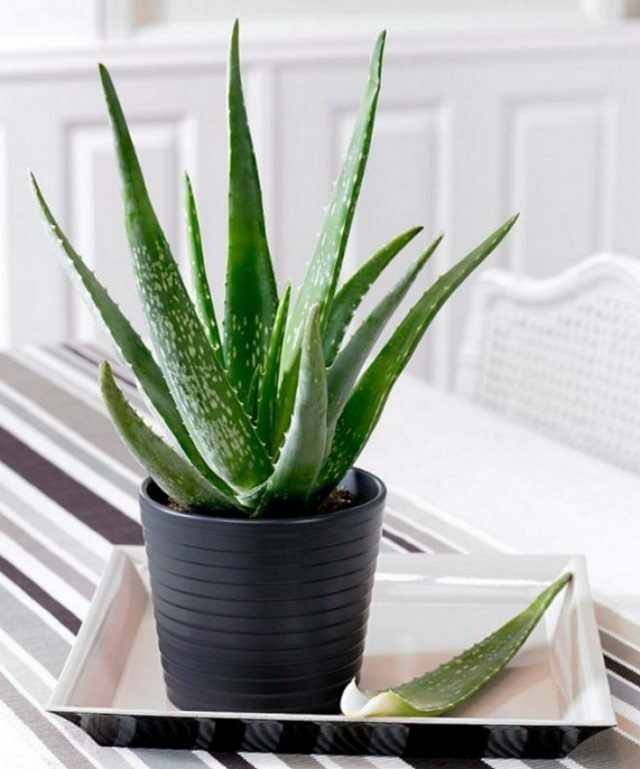 Especially, Aloe Vera is one of the most multi-purpose houseplants in Aloe genus you can choose for indoor gardening. Its plump, spiraling leaves ooze out a soothing gel that can be used for burns and cuts. You can use it to relieve sunburns and even ingest its gel for a minty, cool feeling. Aloe loves to have some direct light and a moderate spritz of water every week or two. Renowned since the Victorian times, Boston fern is one of the most popular variants of fern. With its delicate, frilly leaves and lush, hanging fronds, it looks aesthetic when displayed in baskets hanging down from ceilings. 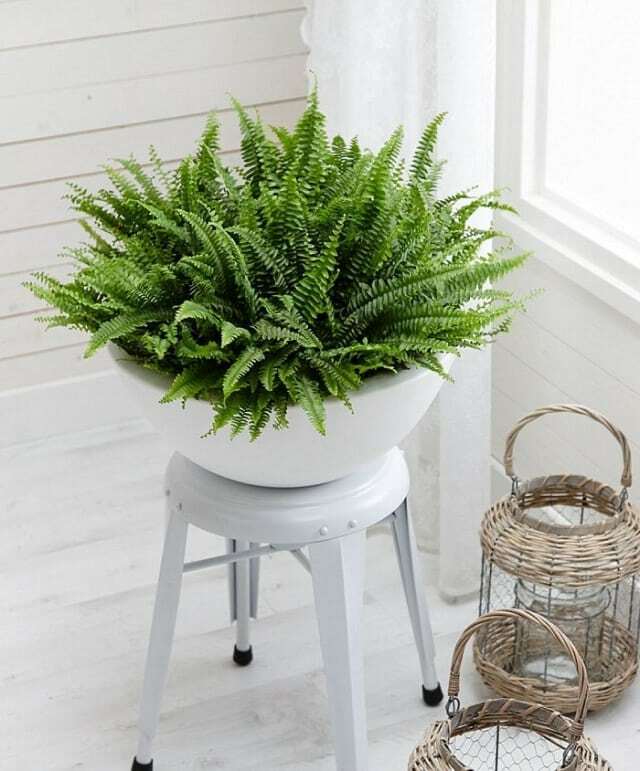 Being the most drought-tolerant fern, it is easy to care for. All you have to do is to place it in a spot that gets indirect light, avoid dry air. Misting the plant in every few days also help by providing humidity. 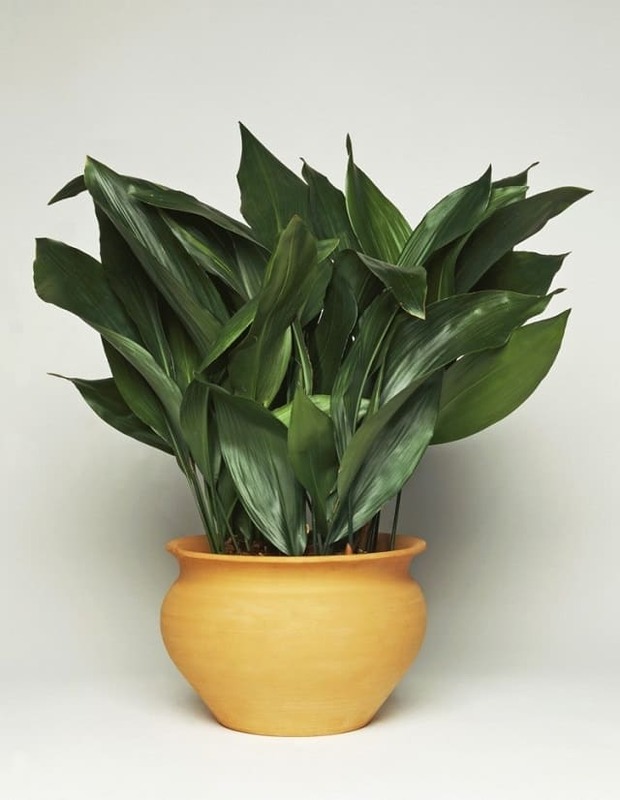 The plants from Dracaena genus perform well as an indoor plant. 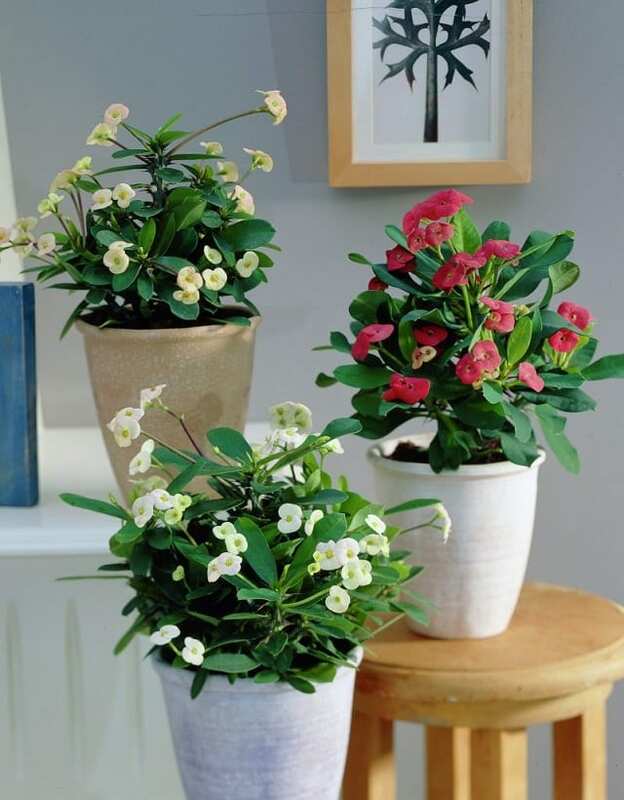 They become great houseplants as they are tolerant to extreme indoor conditions. For instance, they survive well in under-watered soil. Additionally, they are not picky about light exposure. The young plants look great on tabletops, while the larger ones require sizable floor space improving the appearance of home and offices. This plant is well known for its evergreen foliage. It is easy to maintain and needs as little as evenly moist soil and bright indirect light to grow well. The stems tend to grow long but can be easily controlled with pruning. For the best display, place your English ivy on a mantel where the stems can hang down luxuriantly. Contrary to its name, the ponytail palm isn’t a palm, in fact, it’s a succulent! AND; we love it. We listed it on our list of best succulents, easiest houseplants, and the best tall and large indoor plants. 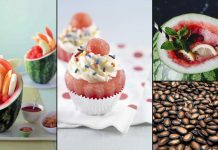 Don’t forget to check out these articles! It is a slow-growing plant, which means you don’t need to change the pot often. It performs best in sunny spots but never mind low lit areas receiving only bright indirect sunlight day long, also, the plant has low watering needs. 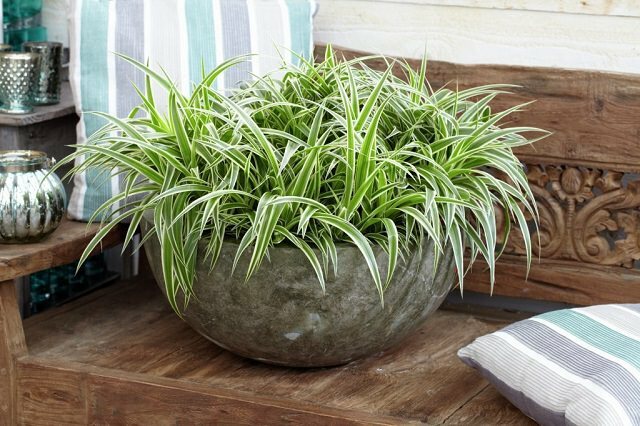 Spider plant is one of the most grown low maintenance houseplants. 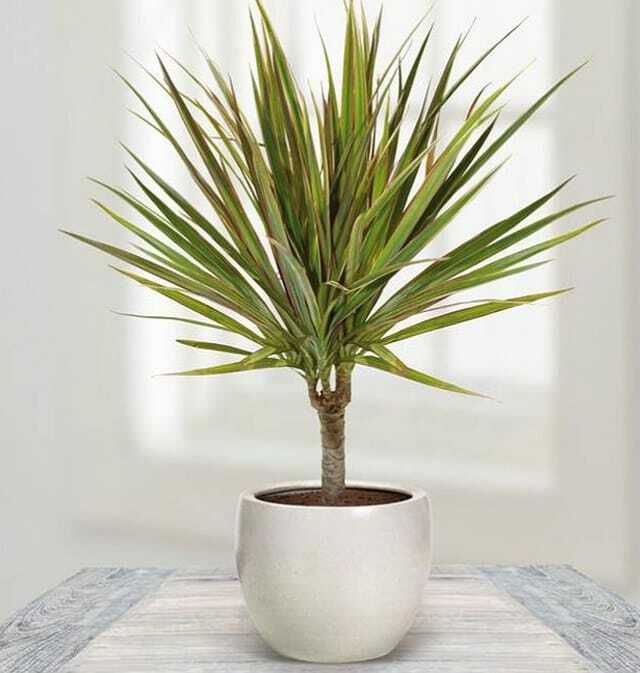 This forgiving plant doesn’t mind irregular watering and goes for weeks without water if grown in cool indoor conditions. Keeping the spider plant in low light conditions without direct sunlight is also possible. 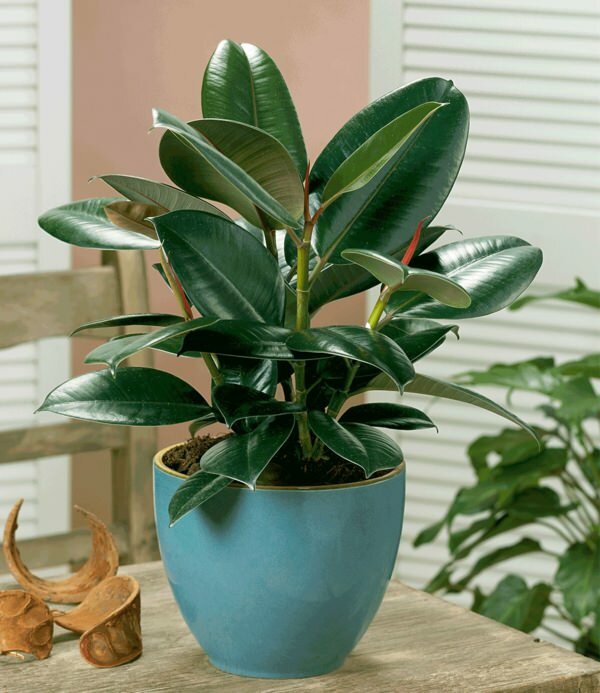 Rubber tree plant is an air purifying plant, it cleanses the formaldehyde. 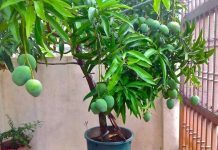 It is not difficult to grow and you can easily keep it in your home or office in a spot that is bright and receives a couple of hours of sunlight if possible. Avoid the exposure of the plant to the intense sun in afternoon.